It’s packed with 60 modules, designed by our experts to teach you all aspects of how to grow your business online. From branding to website plan and build; to driving visitors and using the web to engage your current customers; we cover everything you need to know. Each module includes a bite sized video and some questions; and you can track your progress as your skills grow. But if you’re not sure where to start then we can help you find the answer, with our Digital Skills Assessment (DSA). DSA is an online survey to test your digital skills and discover your digital strengths and weaknesses. We’ll ask you questions on a range of topics around online marketing. From social media to email marketing, from online advertising to SEO, we’ll get a clear understanding of your knowledge and experience. At the end we’ll give you a free personalized report that will let you know where you score highly, and where to focus your efforts. We’ll link to specific courses designed to bring your knowledge up to scratch, so you don’t waste time on topics you already have covered. 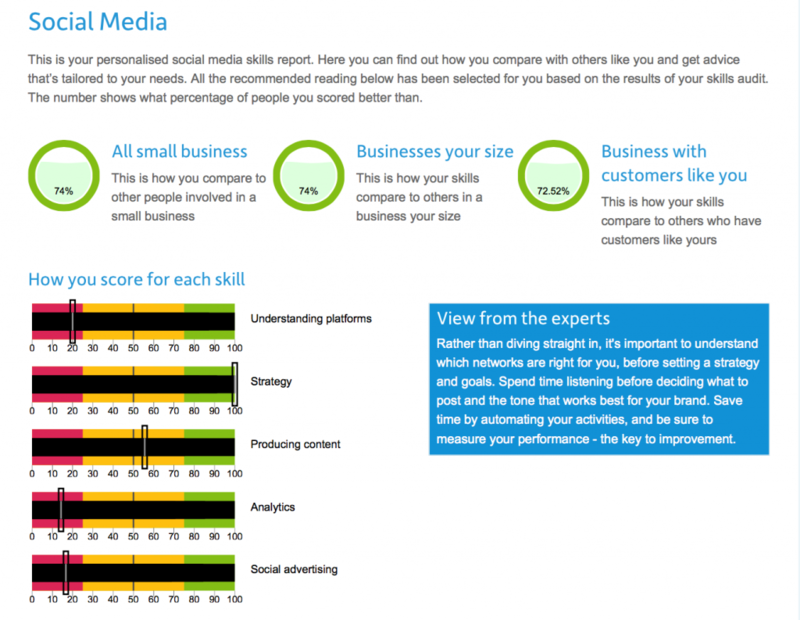 We’ll also let you know how you’re getting on compared to your peers, and which digital tactics work for them. DSA is free and open to everyone. We want all businesses to succeed online. The first step is about knowing where to focus. Marketing Director at @123reg & @heartinternet. Helping #Startups and with @StartUpBritain Bus Tour '16! Speaking at #Startup2016 #SBS #Google & @e_nation.